On August 8, 1966, with the Braves still mired in the second division at 52–59 and in seventh place, Bobbie Bragan was finally dismissed as skipper, and replaced by bench coach Billy Hitchcock, like Paul Richards a former teammate of John McHale’s with the Detroit Tigers. Hitchcock’s hiring would pull the Braves out of their tailspin, and they won 33 of 51 games (.647), advancing to fifth place. But Richards was indeed destined to rise within the Atlanta organization. On August 31, he was named director of player personnel at both the Major and minor-league levels, effectively becoming general manager of baseball operations without the formal title, which John McHale temporarily retained. 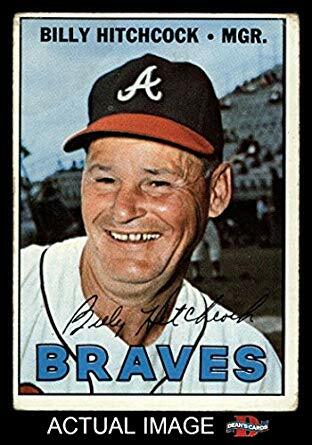 Four months later, McHale resigned from the Braves to join the office of Commissioner of Baseball William Eckert, and on January 11, 1967, Richards was formally named Braves’ general manager. He would serve in the post through June 1, 1972.